Welcome to The Castaways on the River, your home for boat rentals and lodging in Central Florida. you’ll be able to enjoy the wildlife, freshwater fishing, and crystal springs in the surrounding areas. An experience you’ll remember for a lifetime! Watercraft options featuring pontoon and center console boats. Castaways on the River offers cottage rentals and motel rooms, so you can relax and rest during your visit. Enjoy fishing under the shade of oaks, magnolias, pine, and palmetto. When you aren't fishing, enjoy other Florida wildlife. Watercraft options featuring deck, pontoon and center console boats. Canoes are also available. Full and half day rentals. Fish the pristine freshwater of St. Johns River and Lake George for largemouth bass, stripe bass, specs (crappie), shell crackers, and catfish. You will depart from Astor within a 45 minute drive from Ocala, and one hour from Orlando. Astor is located on SR 40 between Ocala and Ormond Beach in the Ocala National Forest. Depart from historic Astor for a leisure boat tour to the many tributaries of the St. Johns River, where you will experience exotic wildlife steeped in history dating back to ancient Indian and Spanish civilizations. Astor’s exotic wildlife includes: alligators, turtles, manatee, bald eagles, ospreys and many other majestic species you don’t want to miss. 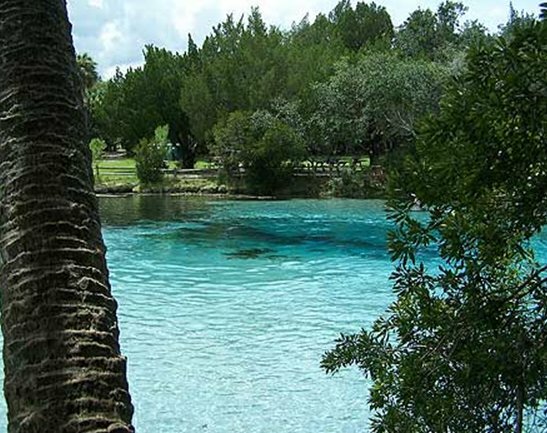 Located in the Ocala National Forest and operated by the US Forest Service, Silver Glen Springs is unique. The spring basin is littered with 3-7 lb Striped Bass that swim around you in groups of hundreds. It’s quite a site. There are two vents that are located at a 25 foot depth. There is a strong outflow, but you can pull yourself into the small cavern and explore as long as you can hold your breath. There is no scuba allowed. An extensive cave system has been mapped in Silver Glen Springs. All accommodations for homes include full kitchens supplied with dishes, pots and pans, microwave, refrigerator and some have dishwashers and washers and dryers. Come check them out!